As confirmed on its blog yesterday, the Los Angeles County Museum of Art (LACMA) has made a proposal to acquire the Museum of Contemporary Art in Los Angeles (MOCA). “Our chief desire is to see MOCA’s program continue and to serve the many artists and other Angelenos, for whom MOCA means so much,” said LACMA director Michael Govan in an online letter. 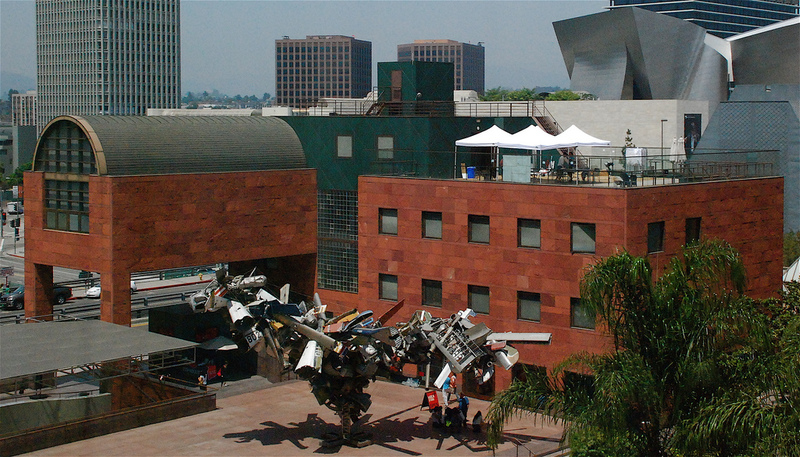 Reportedly LACMA would preserve MOCA’s two buildings, located on Grand Avenue and in Little Tokyo in Downtown Los Angeles. According to the LA Times, the offer was made back on February 24. As part of the arrangement, LACMA would raise $100 million for the combined museums as a condition for completing the deal, according to their story. Another suitor for struggling MOCA is the University of Southern California (USC), which has been reported to have been in talks to merge with MOCA as well. That arrangement has a model in UCLA, which is partnered with the Hammer Museum in Westwood. Either way, it looks like something has to be done about financially-troubled MOCA: “If not us, who?” Mr. Govan said in an interview with the New York Times yesterday.